And be blessed by an increase of faith before our Holy, Heavenly Father. "I sought the LORD, and he answered me; he delivered me from all my fears." "He fulfills the desires of those who fear him; he hears their cry and saves them." "'If you can?' said Jesus. 'Everything is possible for one who believes.'" "Then Jesus said, 'Did I not tell you that if you believe, you will see the glory of God?'" "'Have faith in God,' Jesus answered." He calls the stars by name, yet has every hair on your head numbered. He created the heavens and earth and everything within and beyond, yet He values you enough to die so you may see Him face to face. 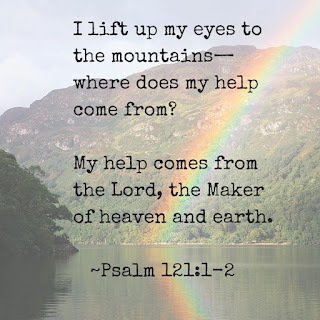 He is The Almighty Creator, King of kings, Lord of hosts and has infinite, unlimited resources...yet He longs for each of His precious children to know Him intimately...to live an abundant life in His loving care...today and every day...for eternity. "The heavens are yours, and yours also the earth; you founded the world and all that is in it." "Lift up your eyes and look to the heavens: Who created all these? He who brings out the starry host one by one and calls forth each of them by name. 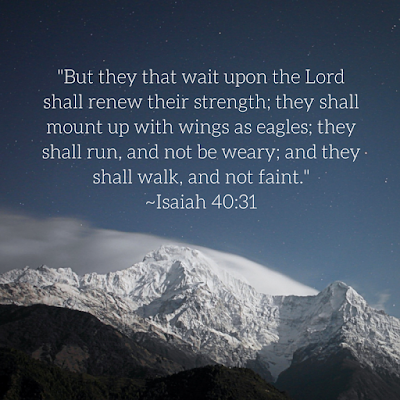 Because of his great power and mighty strength, not one of them is missing." "He determines the number of the stars and calls them each by name." worried can add a single hour to his life." We praise You that You are faithful, even when we are not. Lead us on Your steadfast path of righteousness and uphold us with Your holy hand. Armor us up and give us strength of endurance to do Your perfect and pleasing will. All glory, honor and praise to You, Lord, today and every day! 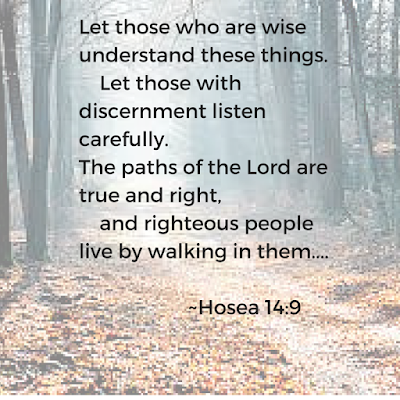 "Let the wise listen and add to their learning, and let the discerning get guidance." "He guides the humble in what is right and teaches them his way." "Give careful thought to the paths for your feet and be steadfast in all your ways." "...He guides me along the right paths for his name's sake." "Since you are my rock and my fortress, for the sake of your name lead and guide me." "Lead me, LORD, in your righteousness because of my enemies-- make your way straight before me." "Let us acknowledge the LORD; let us press on to acknowledge him. As surely as the sun rises, he will appear; he will come to us like the winter rains, like the spring rains that water the earth." "For the word of the LORD is right and true; he is faithful in all he does." Let us open our hearts to receive and embrace His glorious gift of grace...freedom, forgiveness, redemption and justification...freely given according to His riches and mercy...never by our own efforts, desires or works. "...and all are justified freely by his grace through the redemption that came by Christ Jesus." "It does not, therefore, depend on human desire or effort, but on God's mercy." 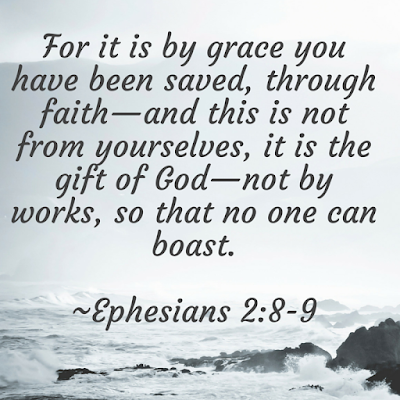 "...made us alive with Christ even when we were dead in transgressions--it is by grace you have been saved." 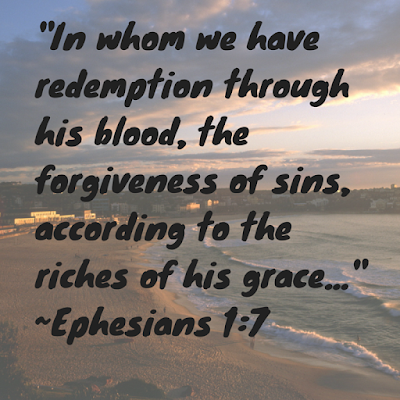 "In him we have redemption through his blood, the forgiveness of sins, in accordance with the riches of God's grace." Let us always be grateful and mindful that in the wilderness of famine or the valley of temptation, The Word of God prevails...it is our soul's food...the means by which our Spirit is nourished and sustained. 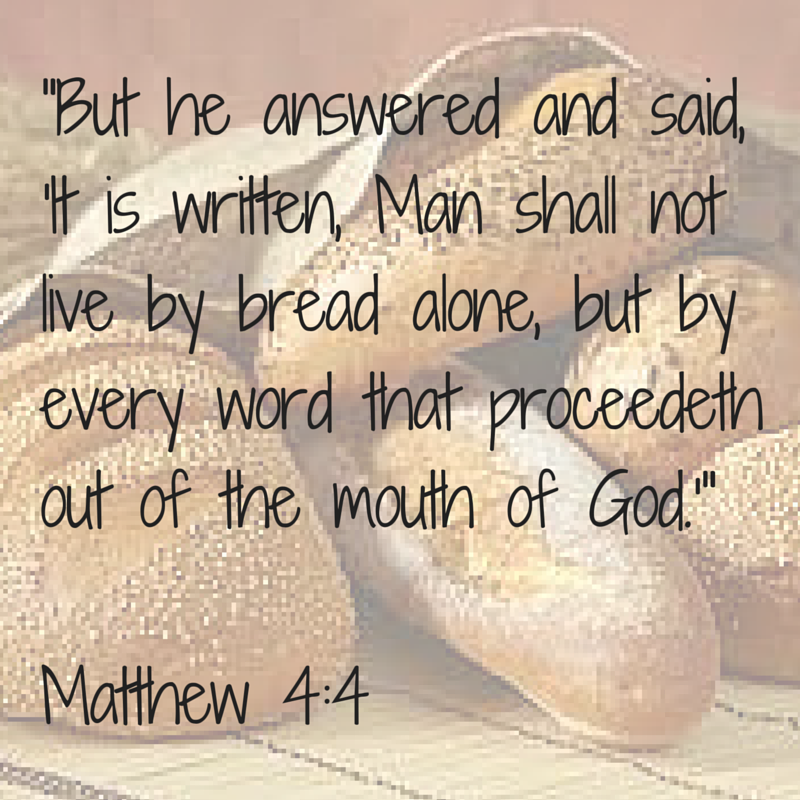 Let us praise Him for feeding us the manna of Jesus Christ, that we may be spiritually strengthened, supported and fulfilled all the days of our lives. 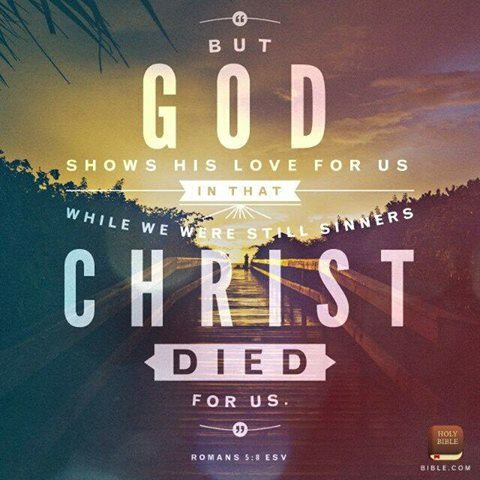 We’ve been set free from the power of sin and death. Because He died, we LIVE!!! That you my Jesus would willingly lay down your life for a wretched and rebellious sinner like me washing away my sins and removing my guilt and shame. Your love rescued me from the darkest pit and set me free. Thank you, my precious Savior, for enduring the cross that I might live. I am humbled by the magnitude of your love and grace for me. 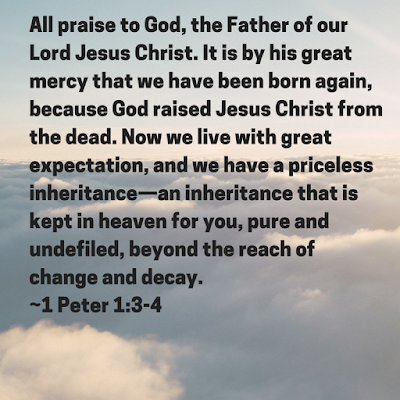 This is our unending hope of eternal life...our priceless, undefiled inheritance...Jesus Christ was resurrected on the third day by our Holy, Heavenly Father that we too may live. "All who have this hope in him purify themselves, just as he is pure." "Through him you believe in God, who raised him from the dead and glorified him, and so your faith and hope are in God." "God has raised this Jesus to life, and we are all witnesses of it." "If you declare with your mouth, 'Jesus is Lord,' and believe in your heart that God raised him from the dead, you will be saved." 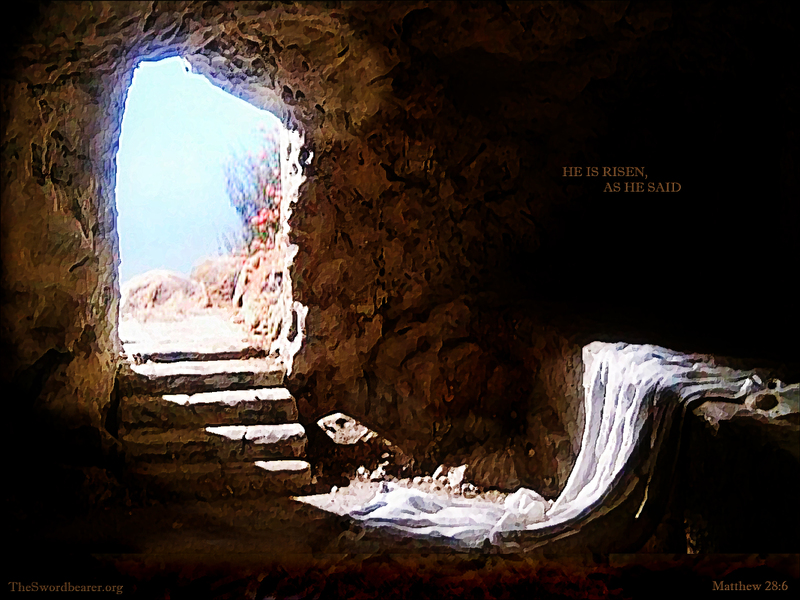 "By his power God raised the Lord from the dead, and he will raise us also." As Jesus proceeded to His destiny, His outgoing concern, care and compassion led Him to repeatedly encourage and prepare those close to Him for what was ahead. Though fully aware of the tremendous task He was assigned and must complete, in His purest form of love, He was selflessly comforting and preparing His disciples for the pain they would face in the midst of His agony. Let us rejoice in all the marvelous and miraculous ways The Lord has, is and continues to bless us! 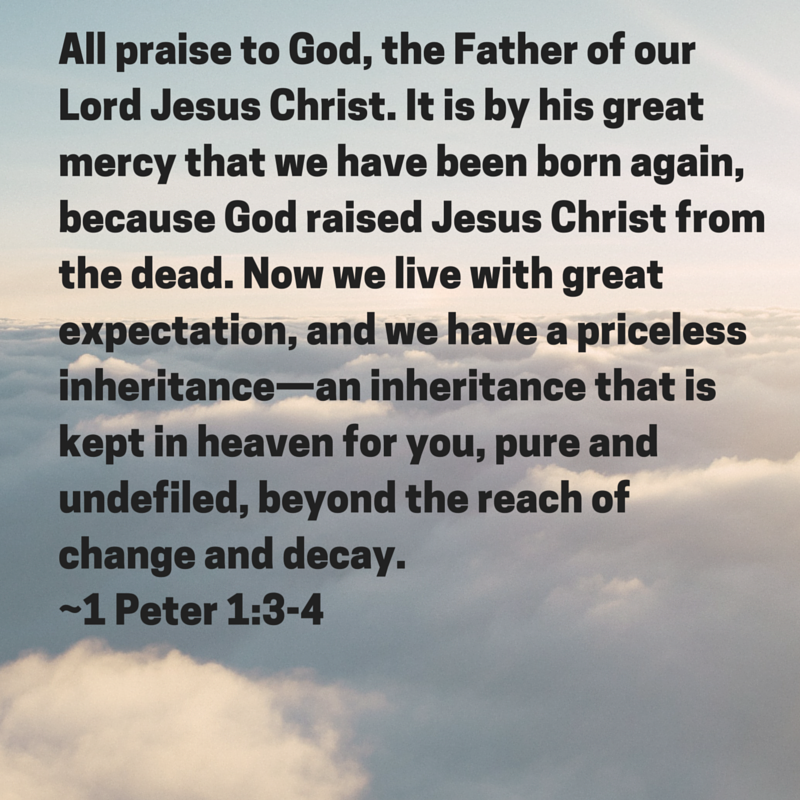 May our hearts be softened to receive His Truth...faithfully hold tight to His Promises...receive renewal and restoration through His mighty strength..and be crowned with His sanctification and salvation for Eternity! 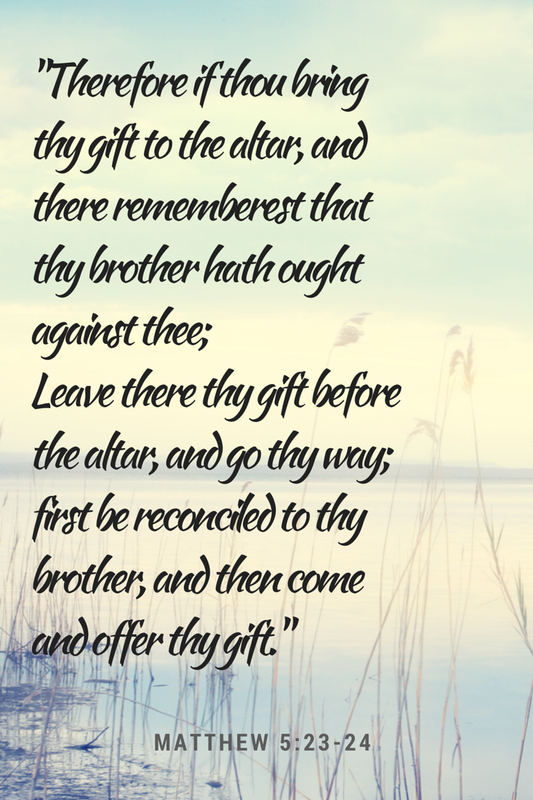 We commit our whole selves to You and pray that you will sanctify us according to Your will for us....that You will provide for us strength to hold our thoughts captive in Christ and dwell on the things which are holy, righteous and pleasing to unto you. Create in us a clean heart and a pure mind...spare us temptations and deliver us from all that is unholy and unworthy in our service to You. You are our shield and our source of joy, peace and strength and salvation...and we praise You, for You are a holy, righteous, all-powerful, all-knowing and all-seeing Father...and You love us and meet us exactly where we are. Lord, we pray You will bring us from glory to glory today and every day...and fill in the gap where we fall short with Your Eternal Grace. "Into your hands I commit my spirit; deliver me, LORD, my faithful God." 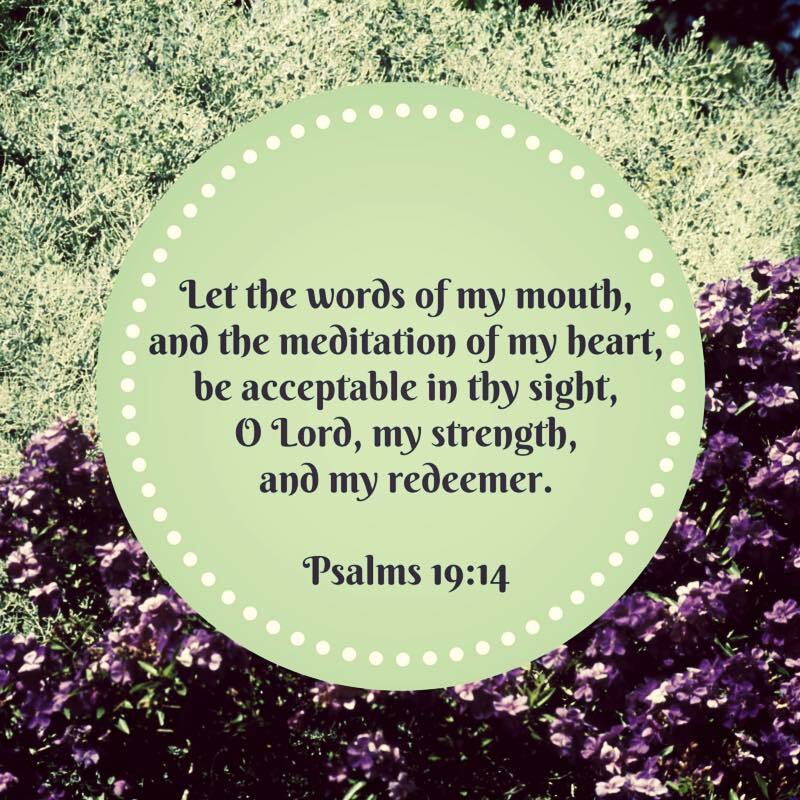 "May my meditation be pleasing to him, as I rejoice in the LORD." "The LORD is my strength and my shield; my heart trusts in him, and he helps me. 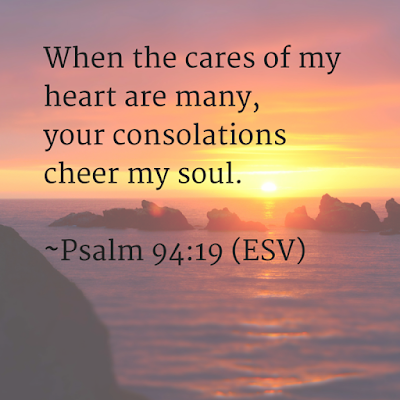 My heart leaps for joy, and with my song I praise him." "Finally, brethren, whatever is true, whatever is honorable, whatever is right, whatever is pure, whatever is lovely, whatever is of good repute, if there is any excellence and if anything worthy of praise, dwell on these things. The things you have learned and received and heard and seen in me, practice these things, and the God of peace will be with you." 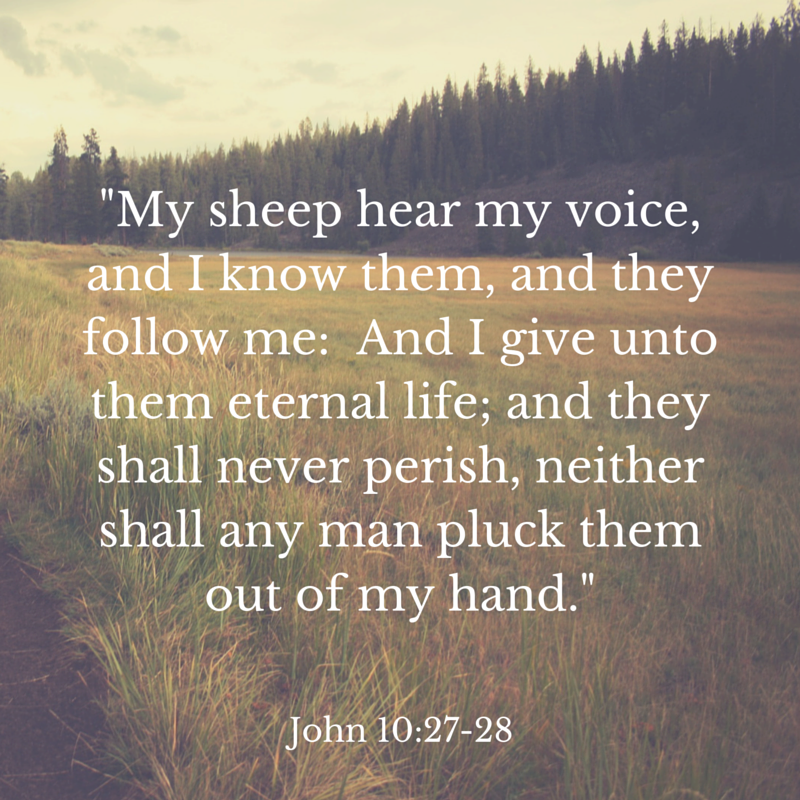 He knows His sheep and we hearken to His voice. 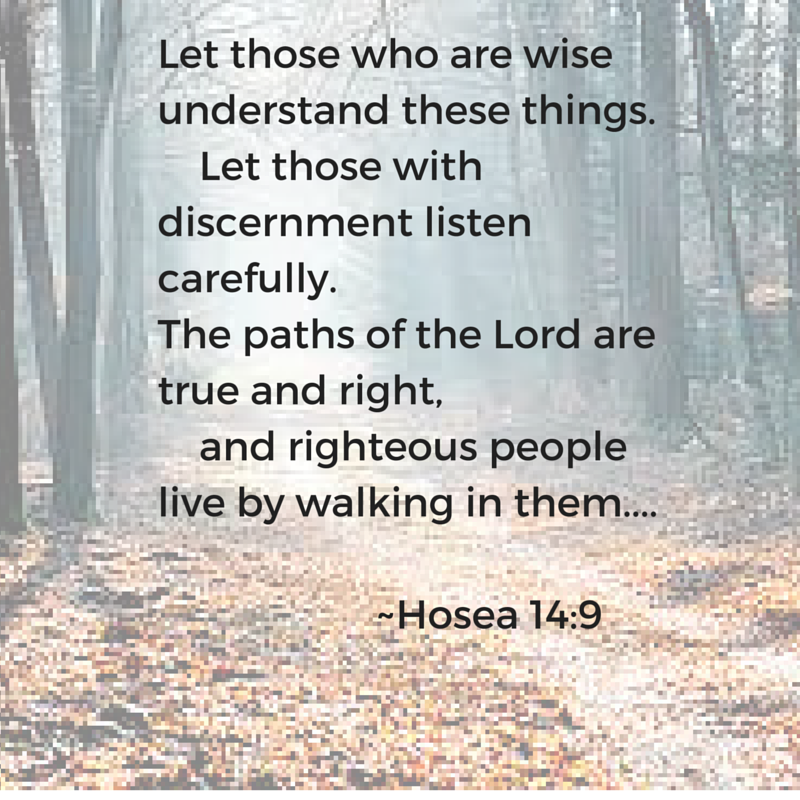 He goes before us and carefully prepares the way...we follow Him...as He is the way, truth and life. 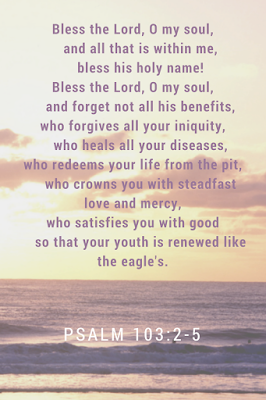 He is the restorer of our soul; the keeper of our Spirit. He carries us close to Him when we are broken; He mends, heals and reveals to us who we are in Him. 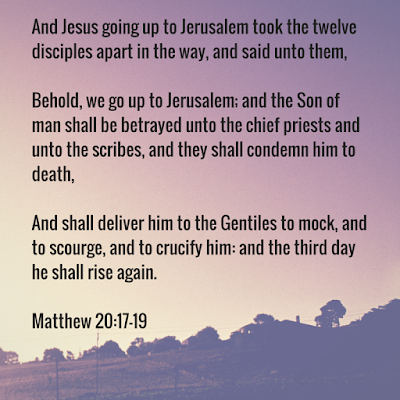 He laid down His life for His flock; we shall not want for eternity. "But whoever loves God is known by God." "When he has brought out all his own, he goes on ahead of them, and his sheep follow him because they know his voice." "He tends his flock like a shepherd: He gathers the lambs in his arms and carries them close to his heart; he gently leads those that have young." 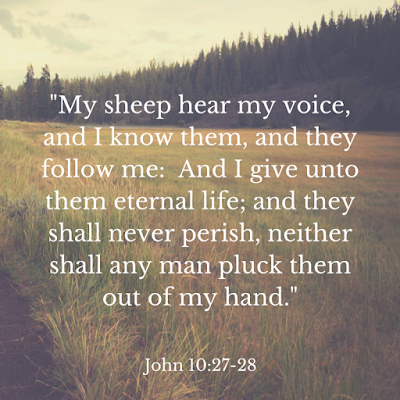 "For 'you were like sheep going astray,' but now you have returned to the Shepherd and Overseer of your souls." 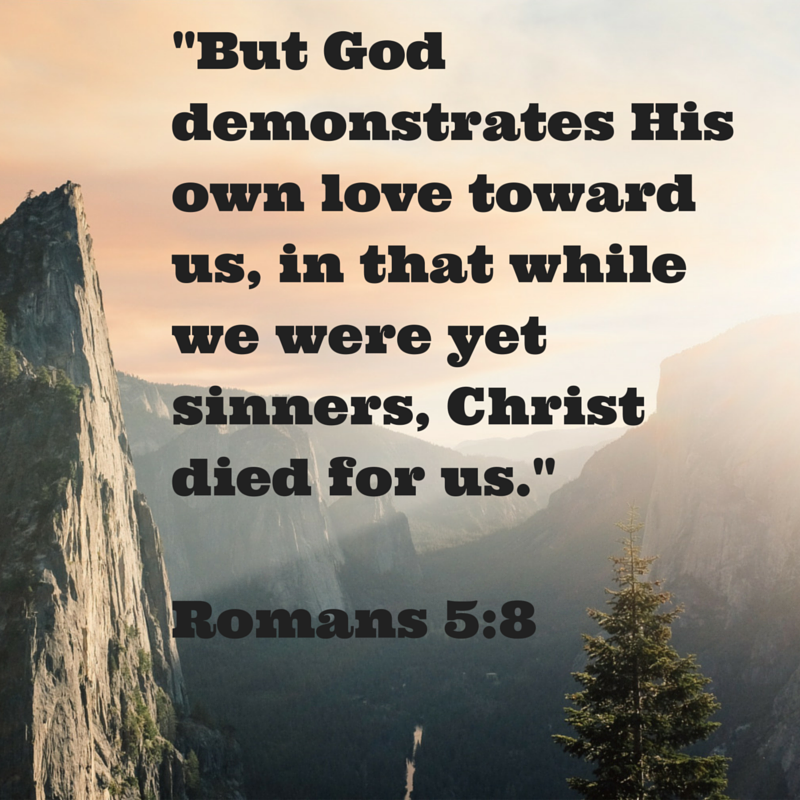 Forgiveness is a priority...it is a true expression of agape love and it honors God. Understanding forgiveness is key and leads us to experience the fearless freedom it offers. Forgiveness is not minimizing, excusing, or agreeing with the offense. We must see sin for what it is and recognize who the true offender is. Remember, our fight is not against flesh and blood, but against spiritual wickedness in high places...against the author of anger, fear, frustration, hurt, pain, sin and confusion. Separating the sin from the sinner opens up our heart to forgiveness of our fellow human beings...it allows God to shed His Healing Light and Truth on the stronghold of the offense...and the darkness loses its power. Forgiveness does not always lead to reconciliation. Jehovah IS Holy and He calls us to holiness. 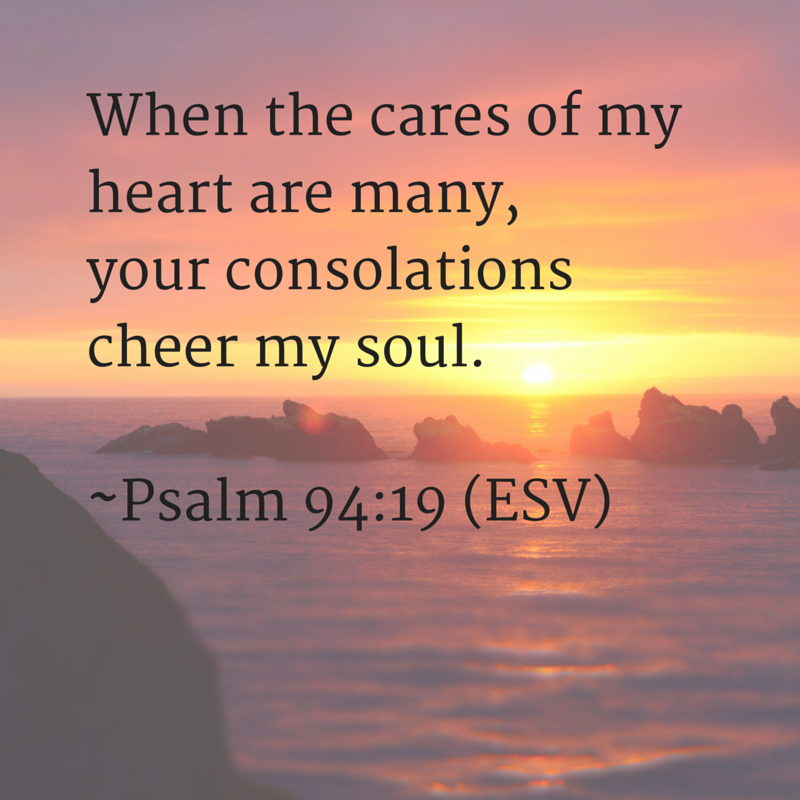 He also calls us to guard our hearts. There are certain relationships and circumstances that we should not expose ourselves to because they are not born of The Holy Spirit. 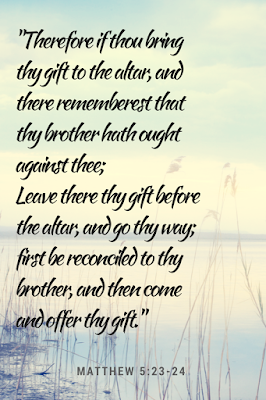 We can forgive the offense...love and pray for the sinner...but must diligently separate ourselves from sin. 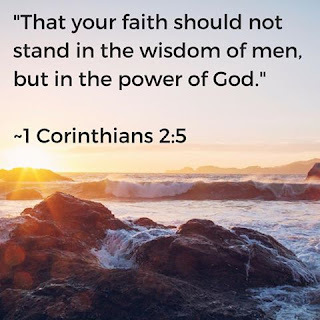 If we seek God and His truth...listen to the whisper of The Holy Spirit...He will enable us to forgive others and ourselves...lead us to the people, places and situations that He ordains, according to His purpose. 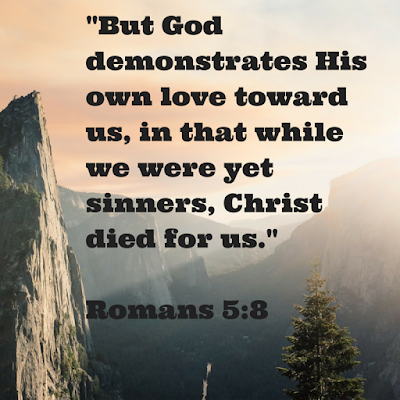 We have certainly all sinned and fall short of God's glory. But, as believers, we are to be imitators of Christ. And if we make forgiveness a priority, we will indeed experience peace, healing, wholeness and freedom...and honor Him with a clean heart. May we turn to The Lord when our hearts are heavy...for He is our source of strength, joy, peace and and everlasting salvation. He is the Alpha and Omega; the Great I Am...He designed and breathed life into us...He alone completely knows our need and has the capacity to fix and fill us...eternally. 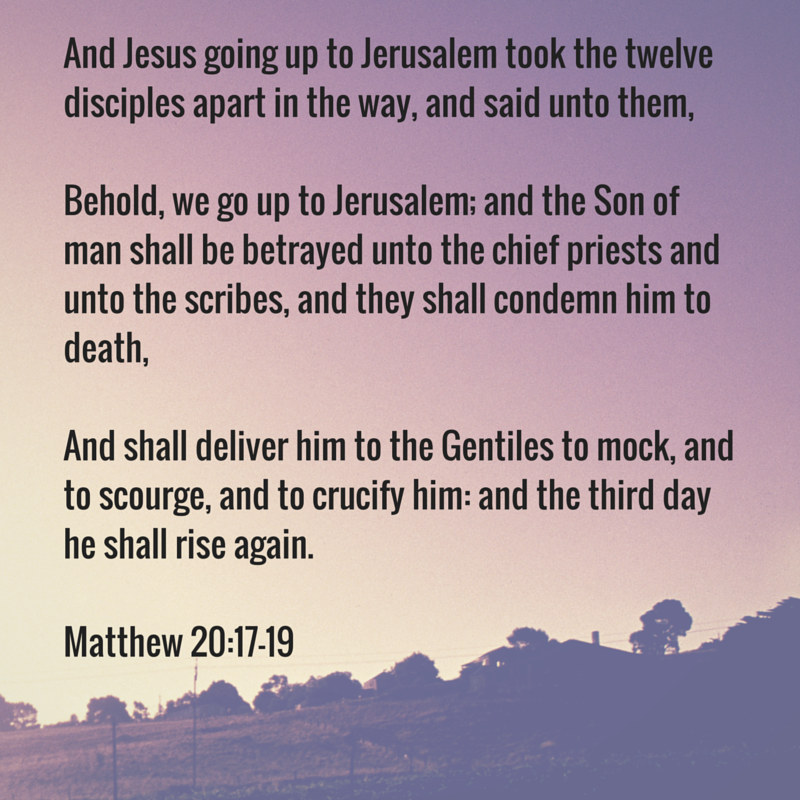 We praise You and thank You for the atoning sacrifice and the miraculous resurrection of Jesus Christ...that we may be forgiven, redeemed, justified and set free...and one day come to see You face to face. 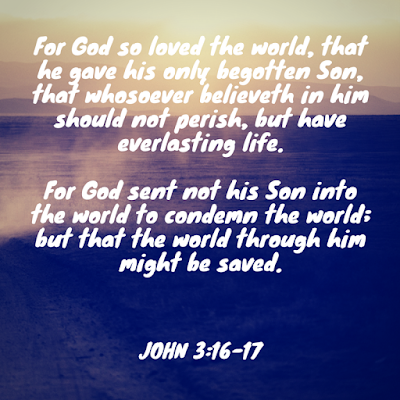 And we pray that you will clothe us with love, courage and strength so we may spread the glorious news of The Gospel of Jesus Christ...that others may also find Him in the Mystery...and through Him, be forever redeemed. "My goal is that they may be encouraged in heart and united in love, so that they may have the full riches of complete understanding, in order that they may know the mystery of God, namely, Christ..."
"Although I am less than the least of all the Lord's people, this grace was given me: to preach to the Gentiles the boundless riches of Christ." "I pray that out of his glorious riches he may strengthen you with power through his Spirit in your inner being." 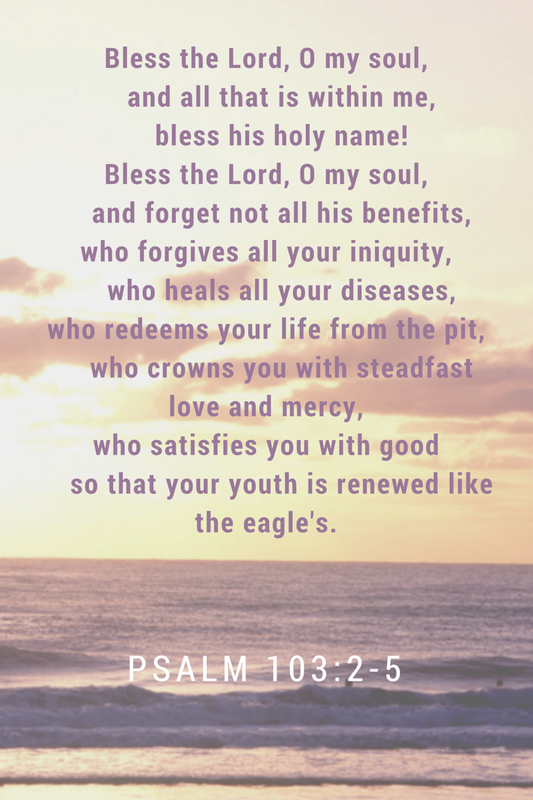 "...in whom we have redemption, the forgiveness of sins..."
"In the year that king Uzziah died I saw the Lord sitting upon a throne, high and lifted up; and his train filled the temple. Above him stood the seraphim: each one had six wings; with twain he covered his face, and with twain he covered his feet, and with twain he did fly. And one cried unto another, and said, Holy, holy, holy, is Jehovah of hosts: the whole earth is full of his glory. In Isaiah's vision and encounter with Jehovah, the omniscient majesty and holiness of The Lord of Hosts completely overcame him...left him feeling "undone" and acutely aware of how unholy he was in his own humanity. Let us not just be aware of the presence of our God...but seriously acknowledge and cherish that He Is Holy, Holy, Holy - an infinitely Holy Trinity beyond anything else in existence! 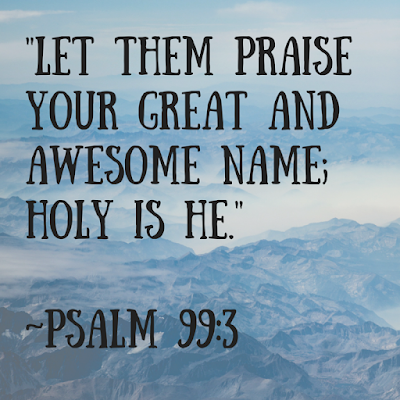 Let us praise, honor, glorify and worship Him in this manner...for He Is Holy, Holy, Holy...He Is high and lifted up...and He Is Worthy! 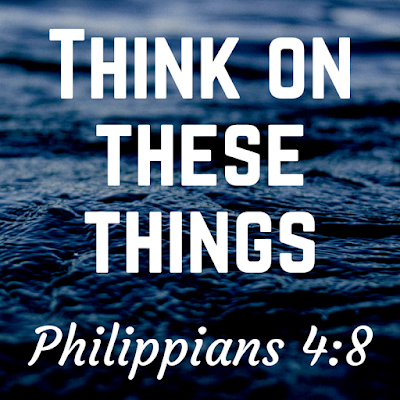 It can be difficult in our humanity to rid ourselves of the clutter in our thoughts. Circumstances and situations can evoke emotions within us that can be difficult to cope with and lead to unholy thought processes. 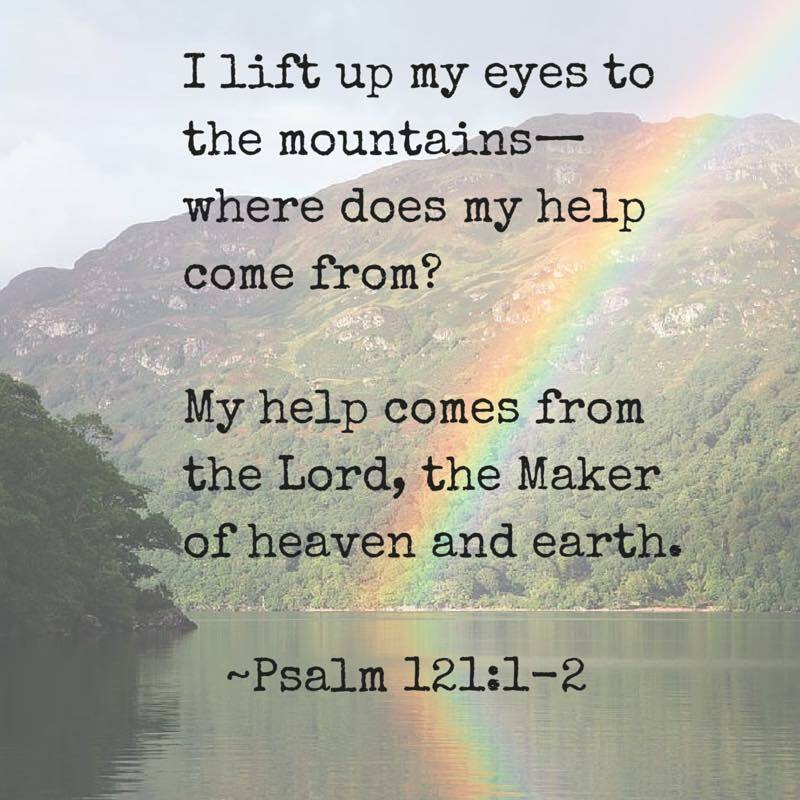 It takes an active, conscious effort to partner with God in the valleys...to bring every thought captive to the obedience of Him...to think, practice and dwell on truth and that which is holy and pleasing unto God. But when we make the Godly choice...when we are obedient...He is faithful to bless us, for He promises His enduring peace when we think on these things. 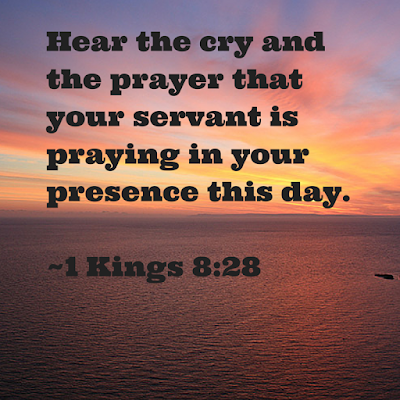 May we sow from The Spirit...draw our strength from Jesus and never grow weary or faint in our service to our King. Approach The Throne of Grace with a sincere, obedient heart...feel the presence of The Lord...make your requests known to Him, for He is close to the broken-hearted and hears the cries of those who call on Him in truth. "The LORD said to him: "I have heard the prayer and plea you have made before me; I have consecrated this temple, which you have built, by putting my Name there forever. My eyes and my heart will always be there." God planned our existence before creation...loved us at our darkest and worked it together for our good to spend eternity with Him.